A stylish little gilt metal pendant adorned with a gorgeous oval shaped opal cabochon. Complete with fine 16 inch (410mm) gilt metal chain. Pendant dimensions shown in picture. Total weight approx 5g. The bangle has an overlapping head and tail that is designed as the snake with sparkling red faceted glass crystal eyes. The bangle is in a very nice tortoishell effect celluloid and is 2 cm at the widest part across the snake head and just over 1 cm at the narrowest part. In circular form with a Celtic style design with the word Love in scrolling letters that blends into the pattern. Set in silver and stamped to reverse 925 and LA. Box for display purpose only. Date (judging by shaping ) is late 70s/early 80s. Good condition. VINTAGE ITALIAN MICRO MOSAIC 'ROMA' HEART SHAPED FLOWER DESIGN PENDANT c1950's! Also has the words 'ROMA' to the centre. make Supersized seem small. (see photographs). Will date to the 1950's. 99p start, no reserve! ♦ART DECO EGG YOLK BUTTERSCOTCH AMBER PENDANT & ODDS,♦. light egg yolk butterscotch amber pebble. enjoy this lot Art Deco c 1930s egg yolk butterscotch amber pieces. large natural piece of butterscotch amber. ♥STYLE or PERIOD : Where I have indicated 'style' that refers to the design of the piece, shape, colour, use of materials etc. condition - very good. A pretty pendant in a teardrop shape bezel set with a turquoise stone. TURQUOISE PENDANT. Set in a silver surround and bail and stamped on reverse 925. Retro 1970's Brushed Stainless Steel Amethyst Glass Pendant + Chain 26"
This is a fabulous retro vintage 1970's pendant with its original continuous chain. The large circular brushed steel pendant is 2" in diameter, and its set with a polished sliver of steel and finished with a round amethyst glass cabochon. Minimal surface wear to the pendant. A lovely vintage gold plated Wedgwood green Jasperware cameo pendant on its original chain. The pendant - 1 and 3/8 × 6.25/8 of an inch not including bail - bail is 2.5/8 of an inch long - is stamped WEDGWOOD MADE IN ENGLAND - the chain is 18 and 7/8 of an inch long. Please note that any green you can see on the metal is just the reflection of the trees outside my window 🌳 Excellent condition - minor expected wear and discoloration. Please view all pictures. Any questions please feel free to ask. Check out my other items 😊 I always obtain proof of postage when sending any item. Depicting a pair of sweetheart owls sitting on a branch. Antique mother of pearl pendant, c 1890 -1900s. 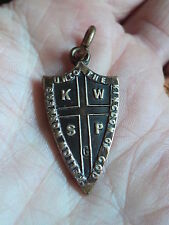 The pendant is 1.7" (4.6cm) long. VINTAGE ITALIAN MICRO MOSAIC FLOWER DESIGN PENDANT c1950's! Make Supersized seem small. Will date to the 1950's. Get images that. Vintage 1950's pendant on silver chain. Not sure whether the stone is just coloured glass or possibly amethyst? The pendant itself is not silver but the chain is. 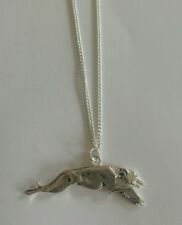 When done up the chain is 25cm long and the pendant is 3cm long. This was given to my mum by her parents when she was a young lady but she is having a huge clear out and it sadly has to go. Comes in original box, bought from Symonds & Sons jewellers in Launceston Cornwall. Pretty Photograph / Hair Locket Pendant From Around The Late 1800's ..Victorian Period Made From a Gold Gilt Coloured Metal & is Round in Shape with Fluted Edges Like A Flower With Turquoise Enamel Detailing ...It Has Glass in The Centre Front & Back & is Set With Small Pretty Sparkling Paste Glass Stones & Faux Pearls Round The Edges Rims On The Glass Opens Front & Back To Insert a Photograph / Lock Of Hair Etc Inside If Required Measures Approx 3.2cms (1 1/4") Round In Good Condition For its Age ...The Stones are All Intact, Bright & Sparkling & The Glass Has No Chips or Cracks ...The Rims Close Securely...See Photographs Quality Pretty Victorian Photograph / Lock Of Hair Pendant. BUTTERFLY WING PENDANT. In a teardrop shape set with morpho real butterfly wing. A pretty pendant dating from the Art Deco era. Signed to reverse LM Sterling England - I believe this should read TLM for Thomas Mott. Stamped Exquisite. Very good condition. Vintage Jewellery Pretty sterling silver opening locket pendant. lovely old pendant locket . the locket measurements are 3.1 cm length x 2.3 cm in width. Dispatched with Royal Mail 2nd Class signed Large Letter. From the 70s, large, round, stamped Rolled Gold, locket. Shackle top. Lovely. The locket has a shackle top. I am unsure if these are original. The locket opens and closes securely. Needs a polish with a silver cloth and it should be like new. The reverse is plain. Beautiful Ruby Red Swarovski Crystal Drop Necklace Gold Leaf design on the back and Front. Width at widest Part 1.2cms Length of Crystal 1.8cms. Length of chain 40cms There are matching Earrings listed and shown in the pictures but not part of this sale. A cute teddy bear pendant set with an oval green glass cabochon. TEDDY BEAR NECKLACE. Marked to clasp 925. A fabulous, quality large silvertone embossed and pierced metal Celtic penannular pendant from Miracle adorned with a gorgeous shimmering faux topaz faceted glass stone and two green & black striped faux agate glass stones. Signed Celtic Jewellery Deanta i Sasana (Irish Gaelic meaning Made in England) (shown in picture). Complete with 610mm (24 inches) silvertone metal scored-link chain. Pendant dimensions shown in picture. Total weight approx 30g. I think the bail is silver plate. A pretty pendant in a faceted french jet with a hematite type mirror finish to the front. A lovely vintage gold plated Wedgwood blue Jasperware cameo pendant on original chain. The pendant - 1 inch × 7/8 of an inch not including bail - bail is 2.5/8 of an inch long - is stamped WEDGWOOD MADE IN ENGLAND - the chain is 18 and 1/8 of an inch long. Please note that any green you can see is just the reflection of the trees outside my window 🌳 Excellent condition - minor expected wear and discoloration. Please view all pictures. Any questions please feel free to ask. Check out my other items 😊 I always obtain proof of postage when sending any item. Weight 11g - Pendant is 2.6cm approx. Including bale and ring - Chain approx. C i r c a : Victorian / Edwardian era. Embedded s e e d pearls around a b e a u t i f u l l y faceted g l a s s s t o n e i n a d e e p a m b e r c o l o u r. G l a s s stone h a s a c o u p l e o f minor s c r a t c h e s, y o u c a n s e e t he largest ofi n p h o t o 7 at roughly 7 o’clockp os it io n.
VERY ATTRACTIVE MOSS AGATE ?. PENDANT UNTESTED SET IN A STERLING SILVER MOUNT ON A SILVER CHAIN. THE PENDANT DROP IS 1.5 CM APPROX THE CABOCHON STONE IS 10 X 8 MM APPROX. THERE IS A NICE DISPLAY OF COLOUR TO THIS STONE CLEAR/ORANGE AND THE GREEN VEINS IN THE CLEAR PART. This is on a scroll link chain necklace. There's lots of tarnishing to both the pendant and the chain. Length of chain: 52 cm. 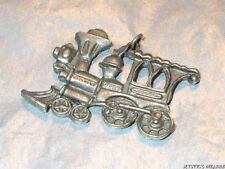 An unusual piece .. Ornate metal claw holding a ball that moves within the setting .. The 'marble ball' is made from glass .. The hanging loop at the top swivels .. A nicely detailed piece with only minor associated age wear .. Estate clearance find .. Please see description and photos below. Wooden jewellery chest / box included, excellent condition and a great storage facility for your precious gems! Vintage silver 925 spider cobweb pendant . The pendant measures 2.3cm Thanks for looking, any offers are welcome I can combine postage. Very nice retro pendant in good order. One marked T H, late 19th to mid 20thc in date.